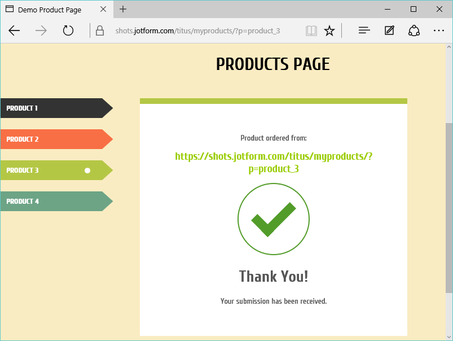 Get Form Page URL performs a simple function: It detects the webpage where you embedded the form and provides the page URL each time the form is submitted. 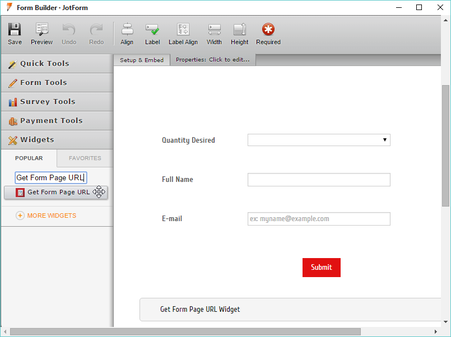 In other words, the widget detects and submits the parent page URL of the Form. 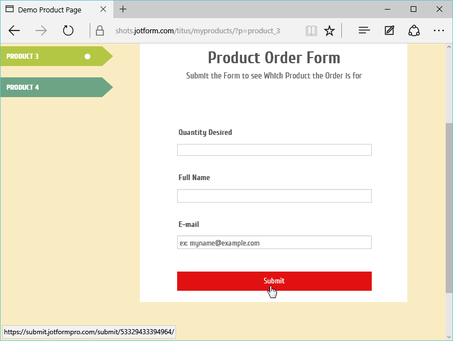 This is essential for a form that has been embedded on more than one webpage, or on dynamic pages where the webpage content and URL changes depending on what the website visitor clicks on. 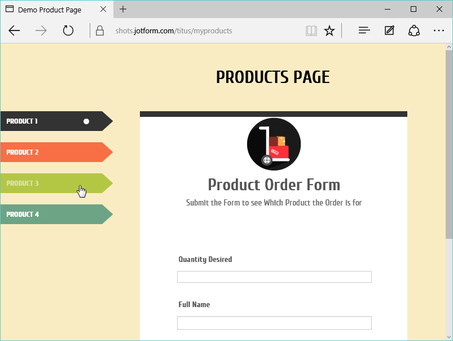 A great example (like our demo) is a where a single form is used to collect orders from hundreds of products pages, this widget will help to quickly distinguish which page the order came from.